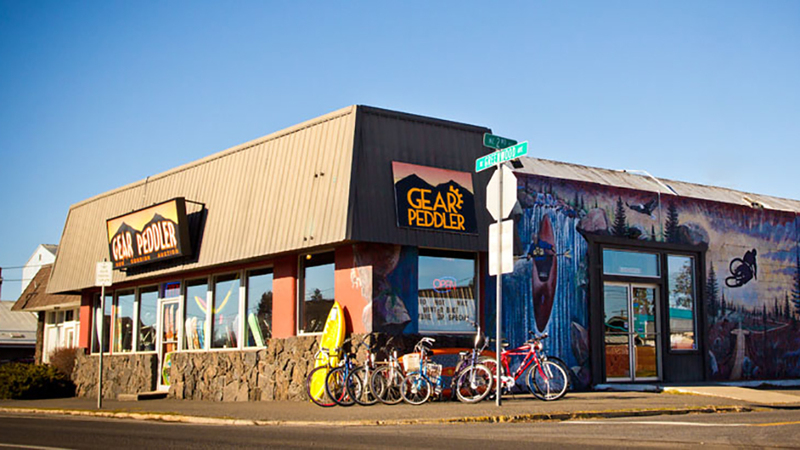 Located on Greenwood Ave just outside of downtown, the Gear Peddler offers a complete line of outdoor gear at competitive prices. Since 2006 they have been shaped to accommodate the unique lifestyle that Bend has to offer, supplying gear to fit the occasion. Value-driven, they offer a selection of used gear that covers just about all the sport you can do in Central Oregon (and that’s a lot). They also carry new equipment, including Marin Bikes, and have the ability to order parts and accessories for your hobby-of-choice; snow, trail, river, or rock. They carry a huge selection of new and used mountain bikes, kids’ bikes, road bikes and cruiser bikes, and have kayak and stand up paddleboard rentals in the summer and ski and snowboard gear in the winter months. They also offer service for skis, snowboards, and bikes. They won’t just consign your gear or sell you something new; they also carry a rental fleet of kayaks and paddleboards.